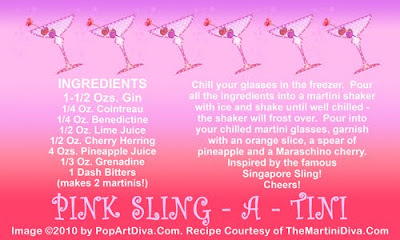 The Pink Sling-a-Tini is a martini version of the original Singapore Sling that was created by Ngiam Tong Boon at the Long Bar of the Raffles Hotel in Singapore. Originally called the Straits Sling, or possibly derived from it, this was a popular drink during the 1920s and then again in the 1950s. 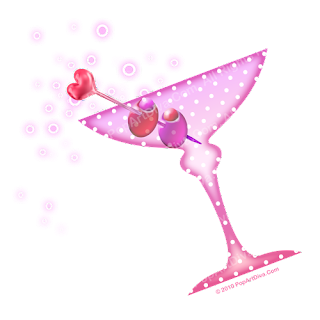 OCTOBER IS NATIONAL BREAST CANCER AWARENESS MONTH - Throw a Pink Party for your friends with my Pink Martinis and Pink Appetizers (links to all below), dress Pink and Donate to help find a cure! 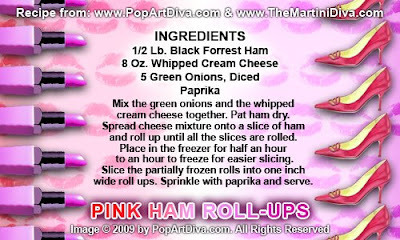 No permission is given to copy, share, distribute, reproduce, post or print without written authorization.Contact PopArtDiva.Com for licensing information.